The 2018 FIFA World Cup kicks off in Russia on 14 June. The month long tournament is the most highly anticipated event for football fans around the world. In anticipation of it, SHAAZIA EBRAHIM and FATIMA MOOSA have chosen the hottest home and away kits of the teams. 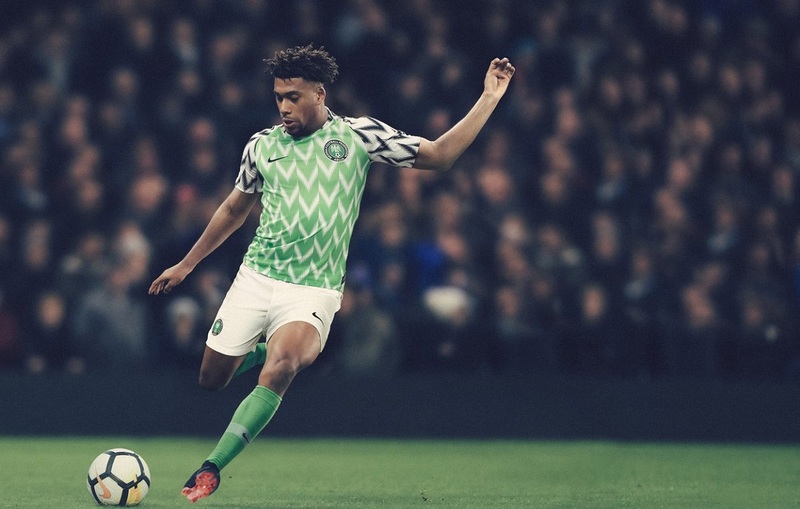 The Nigerian kit made waves earlier this year when it was revealed by sports brand Nike, with many footballing fundis declaring it one of the best kits they have ever seen. And it is truly a piece of art. The Super Eagles home kit comes in Nigeriaâ€™s iconic dark green with an eye-catching neon logo. The kit was reportedly inspired by the team in the first World Cup tournament they qualified for. While some of the other teams have had misses with either the home or away kit, both of Nigeriaâ€™s kits are aesthetically pleasing. The kit is also a shoutout to Nigerian culture and the diaspora. Many have said the Nigeria should win the tournament on their kit alone. Croatia came through with the checkered kits as usual and the Vatreni, or The Blazers in English, pretty much killed it. The away kit is admittedly cooler than the home kit. Sponsored by Nike, it features a black and navy checkered print jersey with red detail and black shorts. The muted palette and bigger crest just nailed it for us – with a cool, futuristic classic kind of feel. The home kit features the same checkered print – this time in a bold red and stark white. Itâ€™s a good thing the the check print is big or else we would have had a picnic tablecloth on our hands. Complete with the white shorts and blue socks, itâ€™s a bit of a vibe. Not as cool as the away kit but still eye-catching and bold. Weâ€™re into it. The Japanese kit is another retro throwback.The Adidas-made strip is a striking blue with some really classy tiny black and white pinstripes. The away jersey has some subtle grey tones on the shoulder while the rest of it is white. The grey serves to give it a crisp look without making the shirt too busy. The kit is a thing of beauty just as is. However, it made even more beautiful with the number on the front which includes footballing memories of the country in anime form! Weâ€™re backing the Blue Samurais to represent South-East Asia well and also because of their brilliant kit. The Los Cafeteros (The Coffee Growers) who had a sort of fairytale tournament the last time around will be hoping to replicate some of their successful 2014 campaign in Brazil. Their kit might just help them with that. The home jersey of the team is a throwback, like Nigeriaâ€™s based on their 1990 jersey. Itâ€™s simple with their countryâ€™s traditional yellow and some really fabulous chevron-like maroon-and-blue stripes on the side. The away kit is a whole mood – it gives off 1994 The Netherlands vibes. With a royal blue jersey and socks with vibrant orange accents and shorts, it makes us feel a little bit festive. The jersey also features a distinct graphic print on the left side of it, likely modeled after the Mulera, a traditional scarf Colombian coffee growers often wear over the shoulder. Nicknamed the Lions of Teranga, or Les Lions de la Teranga in French, the Senegalese kit is known for the West African Lion motifs on its football kits. Last year, it featured the fearsome roaring lion on their shoulder in a bold dash of colour. This yearâ€™s kit isnâ€™t as loud but it still has the same appeal. Sponsored by Puma, the new kit is white and has a sublimated motif of the lion in the background with green trim. The away kit is pretty fire too and the same as the home kit but is green in colour with white trim. Simple, elegant, African-inspired. Sometimes less is more right? The Belgian home kit is a throwback to their Euro â€˜84 kit, a tournament in which they beat Yugoslavia, were thrashed by France, then defeated 3-2 to Denmark after leading 2-0. A bit of a sad story, but the kit is alright. Itâ€™s an Adidas-sponsored kit for The Red Devils and the kit itself is all red: red socks, red shorts, red jersey with a retro Pringle-esque print on the chest, and the crest in the middle. The away kit is much better, featuring a striped mustard jersey (it looks better than it sounds, we promise) and black shorts with mustard and red pinstripe on the sides. Pair that with mustard socks and itâ€™s actually quite fetching. In the past, South Korea has had a few hits and misses with their kits but that didnâ€™t happen this year. The Nike-sponsored home jersey is a bright red which serves to amplify their football crest which appears on the chest. However, it is the away kit which is the real star. It is a white shirt with a wavy double helix-like red-and-blue pattern weaving its way around the middle. Love it! The Taeguk Warriors jersey set also is amongst the best, paying homage to their flag.